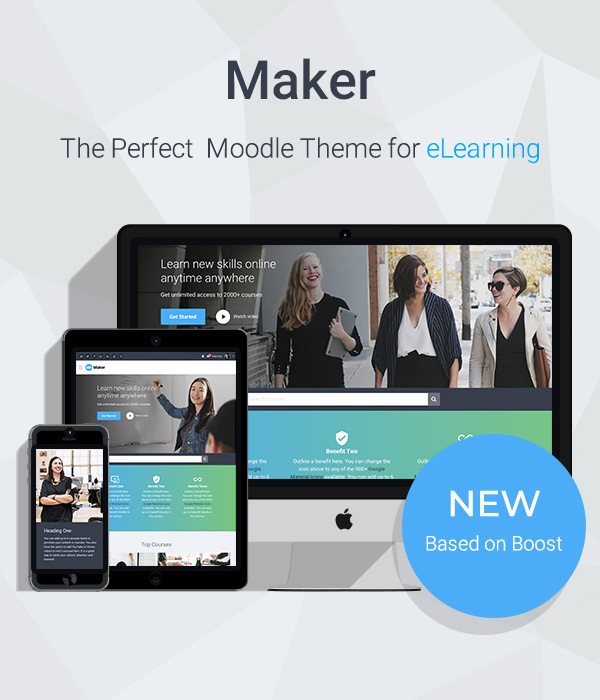 By default our Moodle theme Maker’s settings are in English. If your Moodle site is using a different language you can translate the theme settings from English to your language. In this tutorial we’ll show you how to translate the theme settings. Say you want to translate the theme settings into Dutch. You first need to find the “en” folder (maker > lang > en) and then make a duplication of the folder and rename it into “nl” (nl is Moodle short name for the dutch language pack). 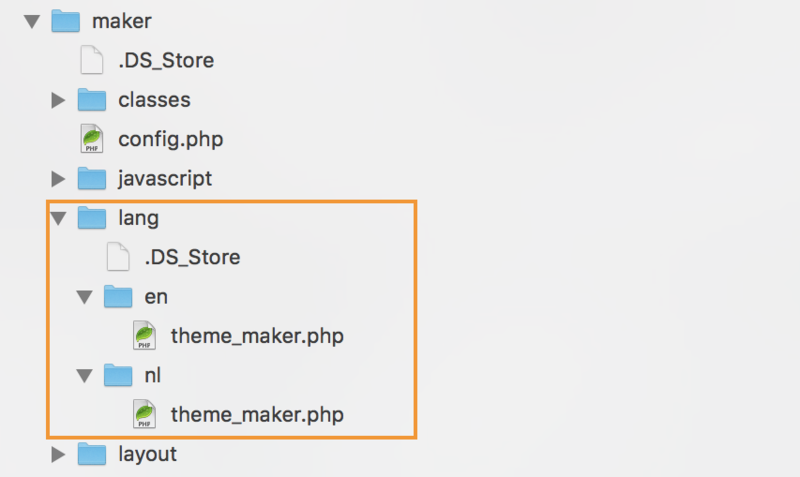 Open file: maker > lang > nl > theme_maker.php and replace all the English strings into Dutch. Once you’ve finished all your changes, you need to purge the Moodle cache to see the translations take effect on your site.